The Posthoorn Amsterdam is situated in a 17th-century canal house, only 10 minutes’ walk from Central Railway Station. Guests at Posthoorn benefit from modern facilities and free Wi-Fi. The rooms at The Posthoorn Amsterdam feature an elegant décor. Each of the living space includes comfortable sofas and a flat-screen cable TV. They also have a shower room with under-floor heating. Every morning freshly baked bread and the ingredients for a continental breakfast will be served in your room. In the kitchenette there is a microwave, coffee maker and refrigerator filled with white wine, beer and orange juice. 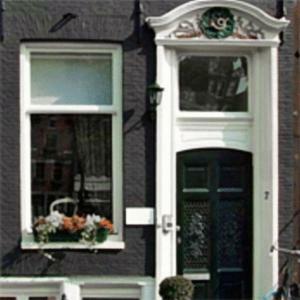 This boutique hotel is situated in the Jordaan district and is a 7-minute walk from the Anne Frank House. The Posthoorn Amsterdam is less than a 15-minute walk from Dam Square which features the Royal Palace.